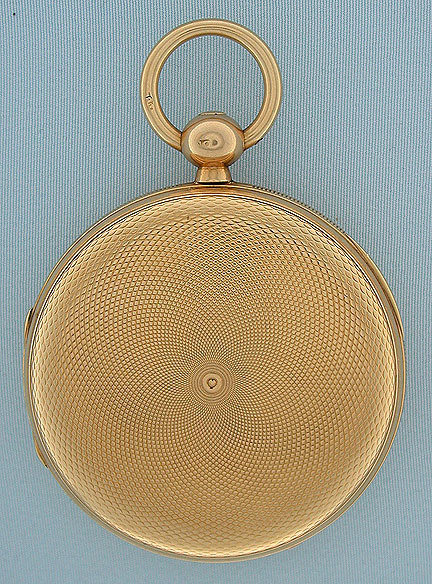 Exceptionally fine and rare Charles Frodsham 18K gold hunting case spring detent pocket chronometer circa 1874. Heavy engine turned hunting case. 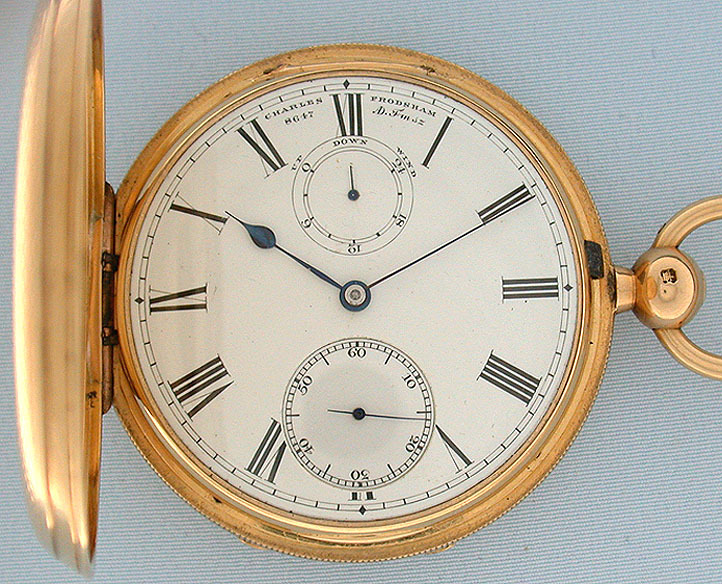 Fine white enamel dial with winding indicator signed Charles Frodsham 8647 AD.Fmsz which was only used on their finest watches. 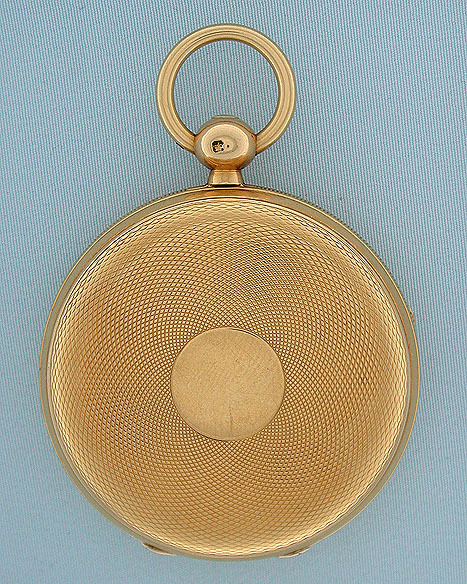 Keywind gilt 3/4 plate movement engraved with a medal and royal warrant. 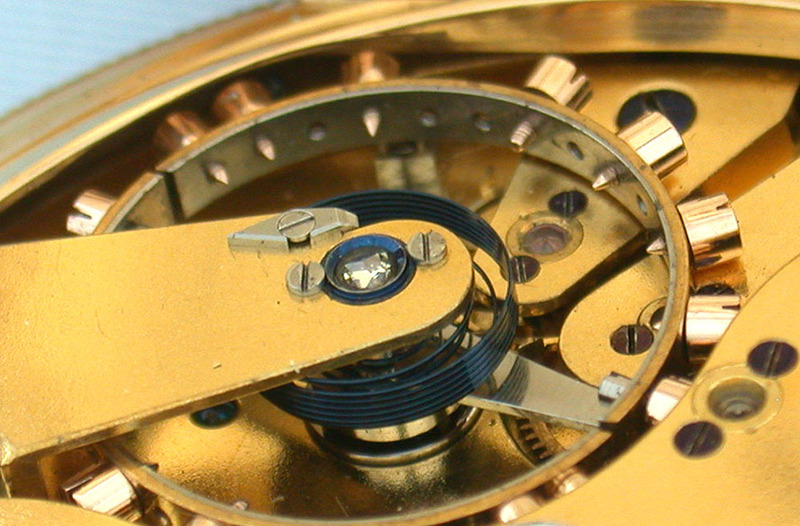 Freesprung with diamond cap jewel, duo-in-uno hairspring, and reverse fusee. 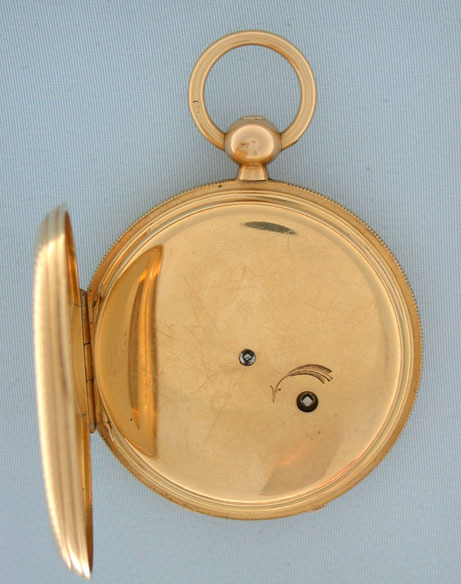 A wonderful watch in particularly fine condition throughout. 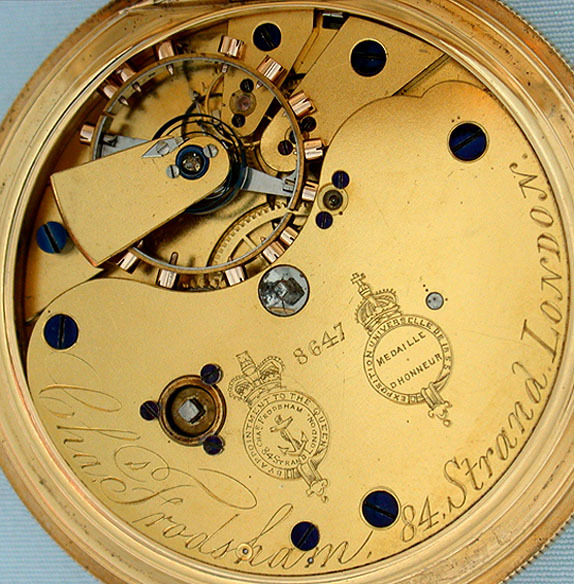 Charles Frodsham (1810-1871) was a renowned watch and clockmaker. He took over Arnold & Co in 1843 at 84 Strand, London. 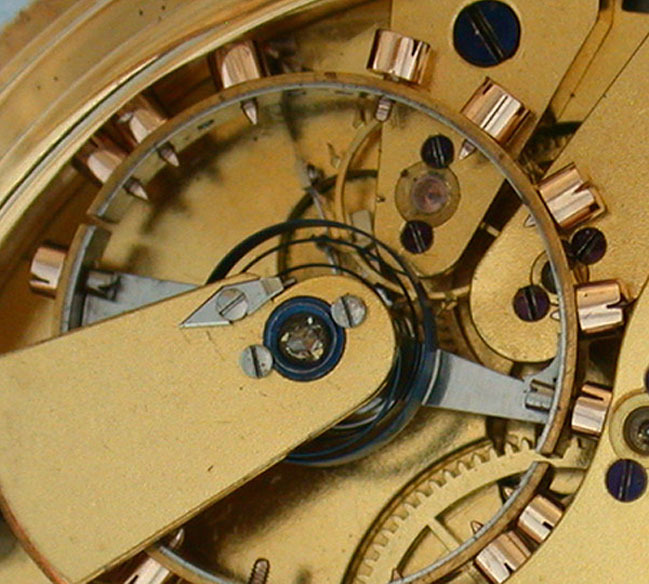 The family business Charles Frodsham and Co. still hold the Royal Warrant as clock suppliers to the British Royal Family.